Join us in Brussels to learn about European policy-making and civil society advocacy, and to raise young voices in front of the European Parliament, European Commission and other stakeholders to combat antigypsyism and to advance important issues for Roma communities. This six days lasting seminar is organized by ternYpe International Roma Youth Network, ERGO Network and the Documentation and Cultural Centre & Central Council of German Sinti and Roma. It will gather 40 young Roma and non-Roma activists in order to strengthen their capacity as young advocates and leaders to tackle antigypsyism. During the seminar, the group will run a youth campaign against antigypsyism targeting EU level actors, like Members of the European Parliament and European Commission. The advocacy seminar is part of the “EU Roma Week” around the 8 April – International Roma Day. The organizers aim to empower young Roma to have a voice to become key agents of change, and to foster solidarity among young people! We have a strong vision to make a change in Europe. As young Roma and non-Roma we believe that we can build a European culture based on respect, dialogue, human rights and equal opportunities. We strongly follow our mission to create space for young people to become active citizens through empowerment, mobilization, self-organization and participation. “EU Roma Week” in the European Parliament Roma Week 2018 takes places from April 9-12, 2018 in the European Parliament in Brussels and Strasbourg to mark the occasion of the International Roma Day on 8 April 2018. 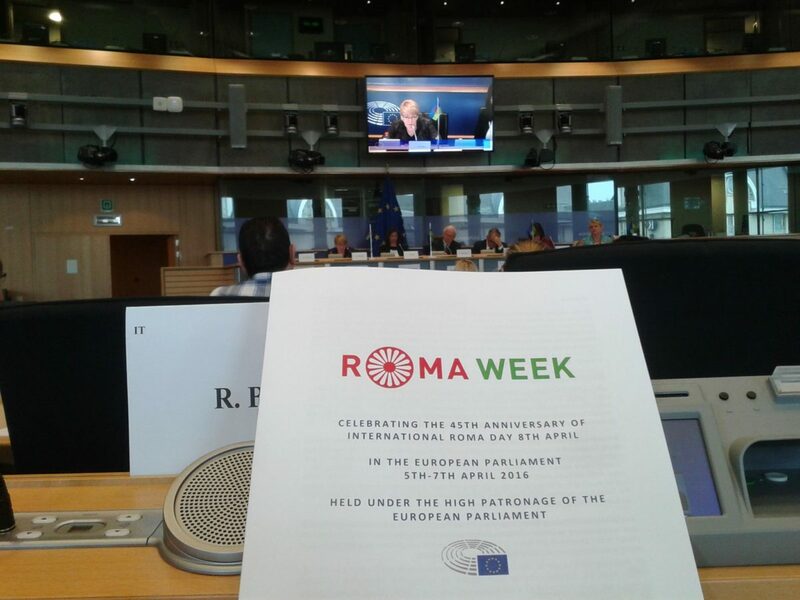 Roma Week 2016-2017 resulted in the Slovak Presidency having two Council Conclusions on Roma with reference to the European Parliament’s 2015 resolution on antigypsyism and for the recognition of the Roma Genocide, as well as in a new Parliament report on fundamental rights aspects in Roma integration in the EU: fighting anti-Gypsyism (of October 2017). EU Roma week 2018 is designed with the aim of bringing together Roma activists from the European Union to advocate for recognition and institutional responses against antigypsyism across Europe, as well as to engage in the discussions for a post2020 EU Framework for the National Roma Integration Strategies. Accommodation is provided in Hotel Aviation, Square de l’Aviation 20, 1070 Bruxelles. The conference will take place in various venues. Information is provided with the Info Pack later. The organisers of the seminar cover accommodation and food during the activity. The maximum of reimbursement of travel costs is € 200 (for French and German participants € 150); if costs are higher they have to be covered by participants or contact the organizers. The reimbursements of travel expenses (based on economical prices, Apex, student price, special price) will take place on the spot during the week in cash or by bank transfer after the activity. Participants should bring with them original invoices to prove the costs of travel as well the tickets.